The city of Gary, Indiana wants a private redeveloper to revitalize 24 acres of land south of Lake Street Beach on Lake Michigan, at the end of Lake Street in the Miller neighborhood. 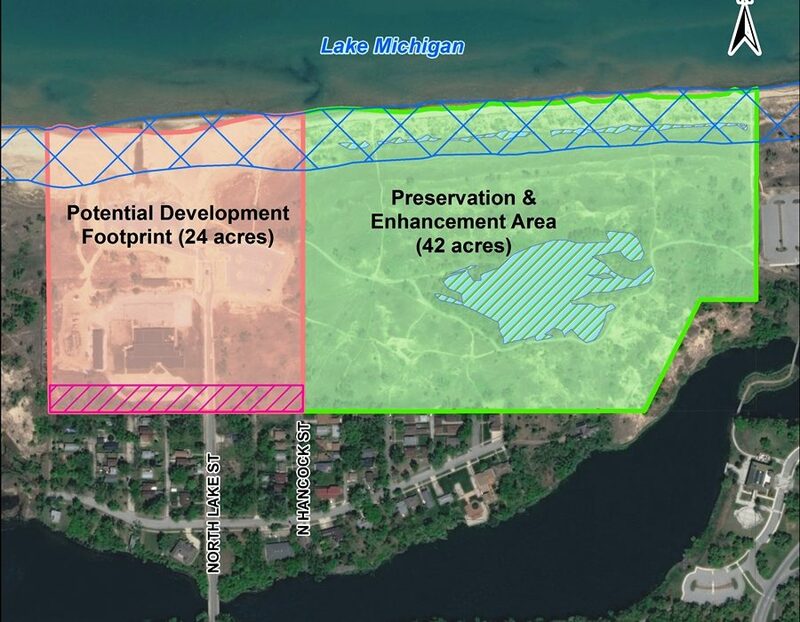 City officials are envisioning a hotel, lakefront dining or retail, in the hope of capitalizing on the Lake Street Beach and the tourism to the nearby Indiana Dunes National Park. The area targeted for redevelopment includes the former Naval Armory and the city-owned parking lots many beach visitors use, since parking often fills up at the neighboring Marquette Park. The beach itself would remain undisturbed and open to the public. “Anything that’s already been developed could be redeveloped,” Gary Redevelopment Commission Executive Director Joe Van Dyk says.